In Étape: 20 Great Stages from the Modern Tour de France, Richard Moore, author of Slaying the Badger and Tour de France 100, reveals the untold stories surrounding some of the most memorable stages in Tour de France history. Moore combines new interviews with stage accounts to paint a revealing picture of the beauty and madness that makes the Tour de France the world’s greatest race. There are many reasons that can make a stage great or, probably more accurate, memorable. In Étape, Moore tells the stories of more than just the fantastic victories that fill our imaginations. He also highlights controversial stages, heroic deeds, and the human struggle that makes the Tour de France the spectacle it is. Richard Moore goes beyond just retelling the events of the stage and what was shown on TV. Étape includes many new interviews with the riders and individuals involved in the stages to tell the stories that had previously gone untold. Étape provides a new insight into some of the greatest moments in Tour de France history. By tracking down those involved in the stages, Moore includes a “where are they now” feature in Étape. Life after professional cycling can be very difficult for some with careers cut short and lives ended early. 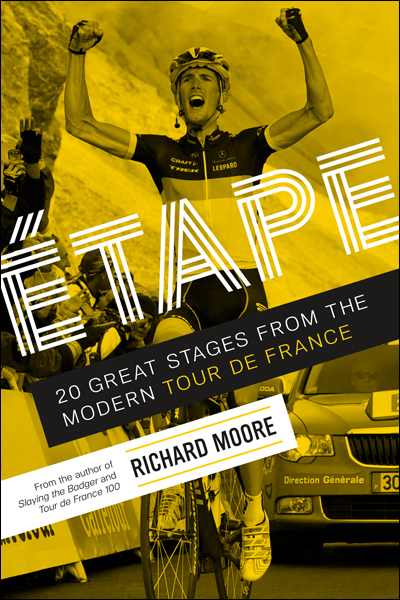 Moore does a great job of telling the “life after cycling” stories of those involved in the 20 great stages in Étape. Here are a couple of my favorite stories from Étape, without too many spoilers. Don’t want to give you any reason not to read this great book. Moore asked Mark Cavendish what he thought was his toughest stage and Cav selected Stage 16 of the 2010 Tour de France. Its a fascinating story because its about Cav’s struggles in the groupetto in the high mountains, something you don’t see on TV. The touching story of Joel Pelier, who, on Stage 6 in 1989, rode to the win in the second longest solo breakaway in Tour de France on the day his parents came to surprise him. 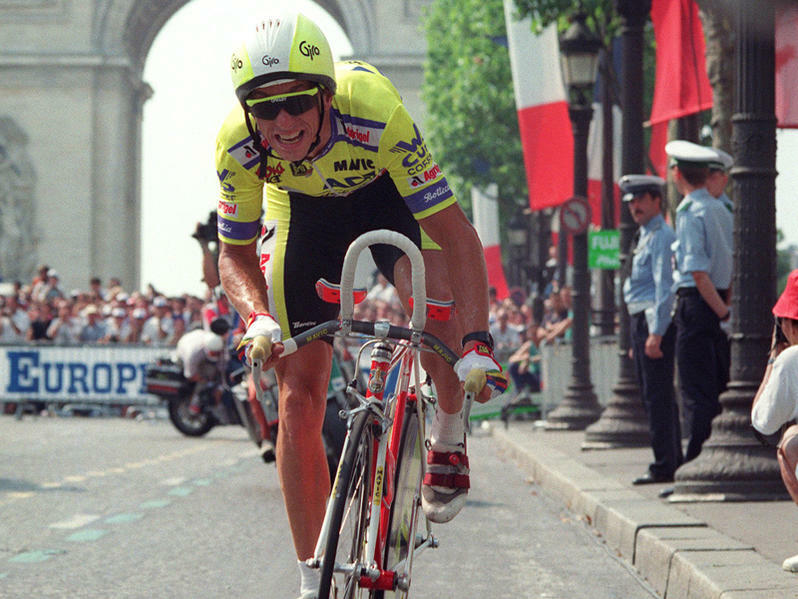 One of my favorite stages of all time is Stage 21 in 1989 when the Tour de France ended with a time trial into Paris. Greg LeMond over turned Laurent Fignon’s slim lead to win the closest Tour de France in history and set off an aerodynamics arms race. To some, the inclusion of riders like Lance Armstrong may be controversial but I agree with Moore’s inclusion of those stages in Étape. Despite what the record books say and your personal opinion of Lance Armstrong, those stages happened and many rank among the most memorable in Tour de France history. Overall, Étape: 20 Great Stages from the Modern Tour de France by Richard Moore is a fantastic read for any fan of the Tour de France. Combining new interviews with retelling of the stages, Richard Moore tells the stories that had previously gone untold providing a new insight into the drama that is the Tour de France. Like reading? Check out some of my other book reviews: Reading the Race and Bike Mechanic.